Impulsive behaviors are one of the biggest challenges for people with ADD and ADHD. When it comes to activities like eating, the ability to control the amount of food we eat and have manageable portion control is extremely difficult. There are some things you can do to help with this issue. Avoid “unlimited” eating options. Just because there’s an unlimited amount of food doesn’t mean you have to eat an unlimited amount of food. Try to take smaller bites and spend a few more minutes chewing and digesting your food. If you’re going to snack, try to avoid bringing the whole bag/container of the item. Pour some into a bowl and eat slowly. On the subject of snacking, if you can substitute a healthy alternative, do it. Drink plenty of water before, during, and after a meal. Try to eat three meals a day. Not having breakfast can force overeating during other meals. If you slip-up, try to rebound from it. Personally, my overeating is caused by eating way too quickly. Instead of enjoying my food, I have a tendency of eating quickly. If you eat quickly, try to give yourself smaller portions and wait around five minutes between portions. 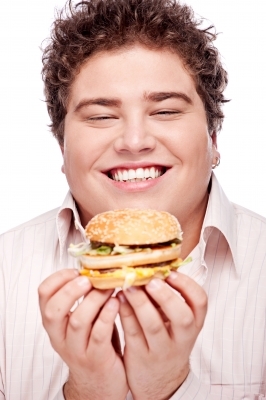 If you take a larger portion and force yourself to eat it, chances are you will overeat. One last piece of advice I’ll share is to know your own body. If you go through long stretches of not eating, chances are you’re going to overeat when you’re hungry. By having at least three set times to eat will make all the difference in the world. I have terrible issues with impulsive eating, or not eating all day because there are so many other things to do, and then gorging when I finally sit down to dinner at 8 or 9. I’ve been fighting the same 20 pounds for 15 years. Can’t figure what’s motivated me this time, but over the past four months, I’ve dropped 30 lbs. and haven’t changed that impulsive eating thing at all, though I have managed to stop the King Henry feasts right before bed. All I can think is that I hired a personal trainer, and you have to eat on somewhat of a routine so you have some energy if you’re going to be able to lift any weights. I found that out the hard way. Thanks for the advice. Some real good ideas here and keep up the good work. It can be tough.